Your name is very important and fragile. There are names that stink in the ears of people simply because, those who bear those names spoilt the name. The way to handle your name with care is to be careful of your doings. Your actions can rubbish your name. A good name can open doors for you & for your children and generations after you. Your purpose is your destiny. If you don't handle it with utmost care, it can slip off your hands and gaze and get broken. So many things can come like pressure on this crate of eggs of purpose. Discouragement, lack of fund, anxieties, etc. These are things that may want to come like pressure on your purpose to break it. Don't allow them! Carry it with care. Carry your purpose away from people and things that may want to put pressure on it and break it. SO MANY PEOPLE HANDLE THEIR MARRIAGE LIKE A CARTON OF INDOMIE NODDLE. Your marriage is fragile. 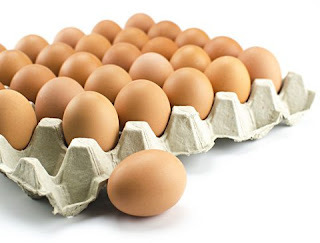 Handle it like a crate of eggs, It must not break! A broken marriage is not easily put back together, because, when a marriage breaks, many things get broken with it. But Remember it takes two to tango, Husband and wife must always carry their marriage like an egg. It must not break! Take the matter of your end very serious. Stop living carelessly as if you have extra life.